Do you like Generator Rex Evo-Showdown? Share it with your friends. 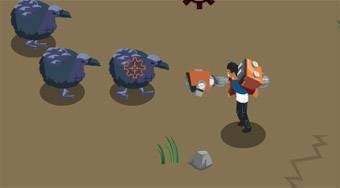 Generator Rex Evo-Showdown - playing a role of an intrepid hero move with three weapons at the game field, kill all the waves of enemies and stay alive.